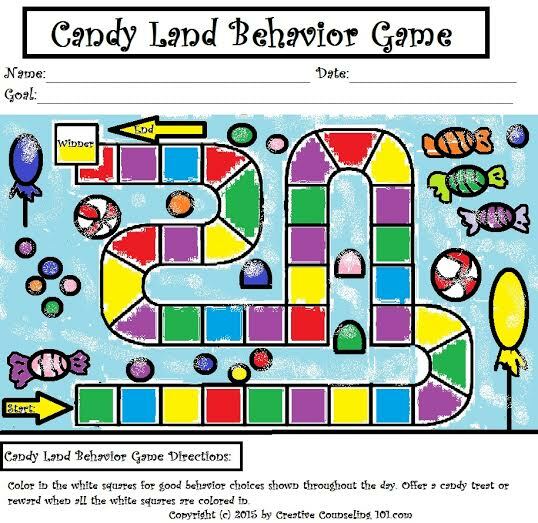 Teach children how to behave in a fun way with this playful art therapy and play therapy "Candyland Behavior Game". 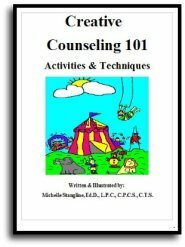 Children can learn how to turn behavior around and have fun at the same time. 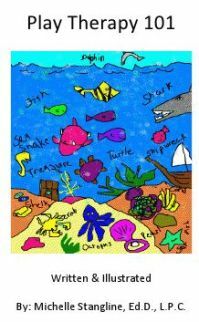 Below is a example of the Art Therapy & Play Therapy Positive Behavior Game that has already been completed. 1. 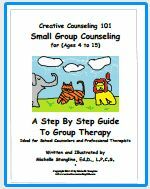 Give a child who needs to work on positive behavior skills a print out of the art theray / play therapy game below. It does not need to be printed in color. Create only one goal for the child and make sure the child understands the goal. Write the goal on the game. An example of this might be, "Keep your hands to yourself." 2. The teacher, or parent / guardian, will state how many white squares the child can cover in on the positive behavior game. The child can color in the amount of squares earned for something such as a reading block, math block, recess, etc. 3. Once all the white squares are completed the child has won the art therapy / play therapy positive behavior game! Give a treat, or a reward. The child can then color in the rest of the game board. 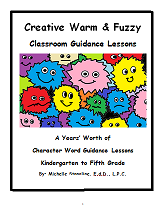 Note: Honesty is very important with this art therapy / play therapy positive behavior game. If the child cheats and colors in more white squares than told to the game is over! 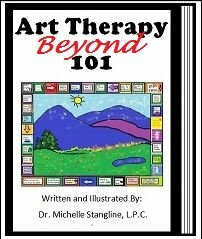 Teachers love this art therapy / play therapy positive behavior game because they don't have to do anything but state how many white squares the child can color in. 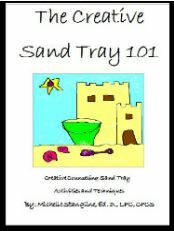 Parents have also had success with this art therapy / play therapy game at home! 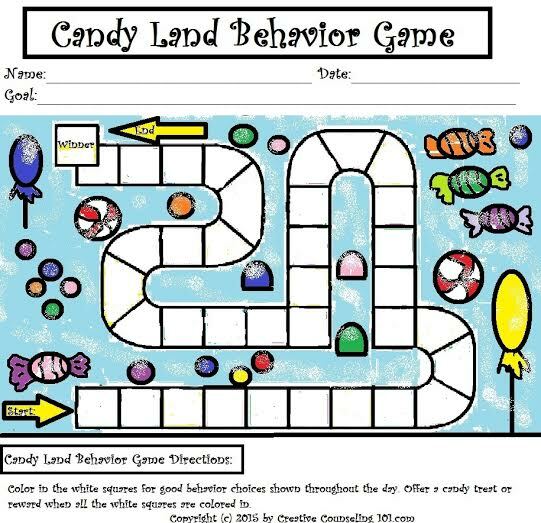 This game helps children learn to self-regulate. Make more copies and play the game over and over with a different reward each time!